Since the founding of the U.S., retail (or consumer) banks have been a fixture in communities large and small. Most often located at the center of the communities they serve, they are critical institutions that primarily provide access to credit and serve as savings repositories, among a myriad of other functions. Yet, despite their importance, consumer bank branches have been shuttering across the country in recent years. According to the Wall Street Journal, more 1,700 bank branches across the country closed between June 2016 and June 2017—the largest 12-month decline on record. The branches that do remain have dramatically cut staffing levels. The Baltimore-Washington region has not been a stranger to this trend. In the last five years, the region’s 20 largest retail banks have closed, or announced their intention to close, at least 255 branches in the District, Maryland, and Virginia. This is compared to a total of 106 new branches that have opened, or have been announced to open, during the same period. For example, in the Navy Yard neighborhood of the District, Wells Fargo and Capitol One Bank branches have both closed within the past two months, while a new Chase Bank branch is about to open – a net loss for the fastest-growing area of the nation’s capital. 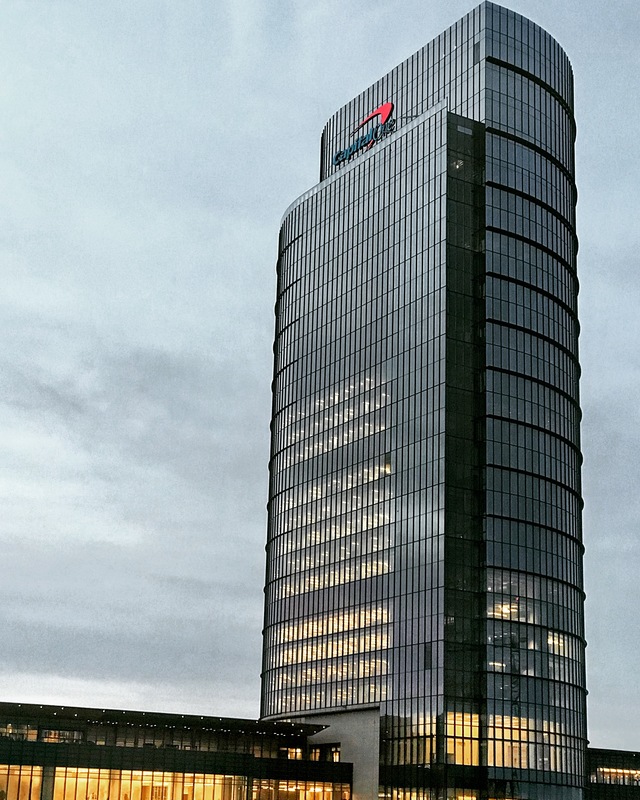 Tysons-based Capital One Bank, which once had a dominant presence in the Washington metro area, has been particularly aggressive at cutting back on its footprint. Over the past five years, the bank closed over 40% of its branches in DC, MD, and VA, bringing its branch count from 237 to 141, and opening just one new branch in that span. Citibank, which has a relatively small presence in the area, has made similarly sharp cuts, reducing its branch footprint in the region by a quarter (12 branches) over the same period. On the plus side, a few chains have made some expansion moves in the area, mostly banks headquartered outside of the region. As part of its push further into the Mid-Atlantic, Winston-Salem, North Carolina-based BB&T added 18 new branches in the region (including 14 in Maryland), primarily through its purchase of Pennsylvania-based Susquehanna Bank which operated banks in Pennsylvania, New Jersey, and Maryland. Most notably, JPMorgan Chase Bank (Chase Bank), announced earlier in 2018 that they would be expanding across the lucrative Northeast market, opening 70 new branches in the Baltimore-Washington area alongside 50 new branches in Philadelphia and more in Boston. The move marks the most aggressive bank expansion in the region in decades and is counter to the prevailing trends. While closure activity has spiked, the amount of FDIC insured deposits has reached an all-time high of $7.36 trillion as of mid-year 2018. And while they may be closing branches left and right, banks themselves are certainly not struggling financially. As of the end of June 2018, there have been no bank failures in 2018, compared to eight in 2017, and a 20-year high of 157 failures in 2010. Clearly, there is still demand for banking services, but not in the same brick-and-mortar, teller-assisted format that has been tradition for over a century. 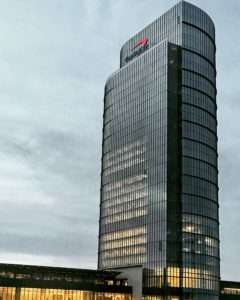 Capital One Bank’s new headquarters in Tysons, VA. The financial giant has been rapidly “optimizing” (i.e. shrinking) its footprint in the region. It goes without saying that technology is playing a major role in the way consumers access banking services. Most major banks now have smartphone apps that allow everything from checking balances to depositing checks. Biometrics-based security allows for simple and secure contactless smartphone payments using “mobile wallets.” Consumers can even apply and receive approval for major loans (such as mortgages) without stepping foot into a bank, thanks largely to Quicken Loans’ industry-disrupting Rocket Mortgage platform. Capital One Bank, which has been at the forefront of the move to online banking, has been opening new Capital One Cafés amid its flurry of branch closures. The cafés are designed to attract younger professionals and entrepreneurs and provide co-working lounges, coffee, and snacks, alongside financial advisors and ATMs. Banks are usually highly sought-after retail tenants. They typically have excellent credit, require little parking, and generate little in the way of “negative externalities” (poor upkeep, trash, rowdy customers). According to consulting firm BAI, banks also typically pay 15-20% more on average in rent than other tenants for comparable space. So, what does the wave of closures (Chase Bank’s new branches notwithstanding) mean for the commercial real estate landscape, particularly for owners of suburban retail centers and urban storefronts? Will they be replaced by restaurants or other risky tenants? Unfortunately, the majority of branch closures have been in rural and low-income areas where it may be difficult to attract creditworthy replacement tenants. One opportunity is to backfill vacated branches of larger institutions with smaller community banks and credit unions, who haven’t been actively closing branches and are often looking to expand in new markets. National coffee chains and restaurants aren’t a bad fallback either. In Germantown, Maryland, a shuttered Capital One branch was replaced by a Dunkin’ Donuts which continued to utilize the built-in drive through. Another potential tenant type is urgent care medical centers (after major reconfiguration or redevelopment), which have been expanding faster than banks have been closing.